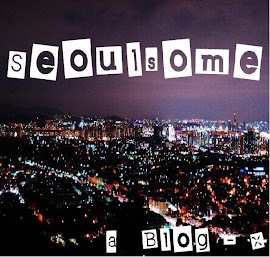 What better way to start than to tell you about a recent trip I made to one of my favorite 'treat' destinations in Seoul?! I have always and will always L O V E pancakes. I say have always but I didn't actually try an American style pancake until I was about 15 or so. Being a Brit we make our pancakes quite differently, for a start they're flat, think crepes and you'll have about the right idea. Secondly we don't eat them with maple syrup, we use sugar and lemon or a kind of sugary syrup known as golden syrup. I know, I know, it's a travesty! There's a few places in Seoul offering pancakes nowadays all ranging in taste and price. But I'm going to go out there and say the best (and I've eaten quite a lot believe me) can be found at a place called Butterfinger Pancakes. I could talk for a long time about this place. It does awesome American style breakfast priced around 10/15,000 won. The servings are pretty big, I probably shouldn't finish a whole plate but somehow always do. I'm hungry just looking at it - American style breakfast @ Butterfinger Pancakes. The service here can be really hit and miss, lately at the Cheongdam branch it's been much better though. The wait time is usually much shorter here too than at the Gangnam branch, which has always been packed whenever I've turned up there. Negatives aside, if you want dessert or more specifically pancakes then this place really should be your first choice. Triple chocolate pancakes and Buttermilk Pancakes. ﻿ ﻿﻿"Triple Choco Pancakes" with a side order of Buttermilk pancakes served with raspberry compote and honey vanilla butter. This is what I ate on my last visit and will probably eat again in the next few days now that I've started thinking about it again.The picture actually isn't doing these guys justice, the choco pancakes are bigger than they appear here and the scoops of ice-cream are big enough to give you brain freeze several times over. I'll try to take better photos in future! ﻿ I have a small problem with making decisions and if you do too then this is an option that covers almost all of it. This spectacular creation is called "Scooby Snack". It's a jar of goodness (fresh fruit, granola, yogurt, blackberry compote, various ice-cream flavors, raspberry sorbet, marshmallow goo, topped with pretty sugar strands) served with a stack of mini buttermilk pancakes and a waffle topped with raspberry compote. I should add that I ate this on a separate occasion from the pancake picture above. and it occurs on my plate far too often for my liking. Green tea featured here as you can see. 3) It was actually really awkward and messy to get the yumminess out of the jar. Looked cool though. Butterfinger pancakes has three locations, Cheongdam (nearest subways are Apgujeong and Gangnam-gu Office), Gangnam Station and one in Bundang (which I haven't been to and therefore can't provide directions for. A simple internet search should help you find it though). To get to the one in Cheongdam you should take a cab from Apgujeong station or Gangnam-gu Office. Ask to go to Cheongdam Intersection. Look for the giant ape (you can't miss it) on the side of a yellow building and head for the area behind that building, you should walk up a street between Burger King and Outback. It's on the left 30 seconds up that street. To get to the Gangnam branch, go out of exit number six, walk straight and take the first left you get to. Then just keep walking straight until you see it on your left. It's about 2 minutes from the station.